HIQA HAS SAID that further improvements are needed in care centres for people with disabilities in Dublin operated by a single provider which were found to have serious compliance issues in the past. Hiqa today published an overview of the inspection and monitoring activity of eight care centres run by Stewarts Care Limited in Dublin. Previous inspection reports into the care provider found serious areas of non-compliance in the health, safety and quality of life of 160 residents across eight different centres in Palmerstown. These included issues around fire safety, cases of allegations or suspicions of abuse, and one case where a resident classed as “malnourished” had not been seen by a dietician since October 2014. Inspectors found a resident who was identified as experienced unexplained weight loss and had lost 10 kilogrammes in a 14-month period. Major issues of non-compliance were also found in medication management, and governance at the centre. Earlier reports found issues of potential abuse, including peer-to-peer physical abuse, unexplained bruising and unexplained injuries to residents, among other issues. A total of 16 announced and unannounced inspections were carried out by Hiqa between May 2017 and July 2018 in eight designated centres operated by Stewarts Care. Inspectors found overall that a poor quality of service was being delivered to the 160 residents of the centres, and that Stewarts Care was failing to make adequate improvements. Following initial inspections of six centres, Hiqa issued legal notices proposing to cancel the registration of the centres over the course of the summer in 2017. Stewarts Care responded with an outline of its plan to improve the quality of life for residents and to bring the centres into compliance with the regulations. However, a follow up inspection in December 2017 found that while there had been some improvements, the centres still weren’t meeting regulations and that this failure “continued to adversely impact on the safety and wellbeing of residents”. Officials from Stewarts Care were asked to attend a meeting with Hiqa in January of last year. At the meeting, Stewarts Care acknowledged that all residents at its centres were not receiving the quality and safety of service to which they were entitled. Stewarts Care then laid out it plans to improve its services. Under the improvement plans, it was required that Stewarts Care provide Hiqa with monthly updates; that monthly meetings be held with inspectors; and that announced and unannounced inspections be carried out. Hiqa has found that to date improvements have been made in the safety and quality of life of many residents. However, Hiqa found in its overall report that these improvements were not consistent in all centres and that further action was needed. Stewarts Care is a voluntary-run organisation providing community based services to people with an intellectual disability. 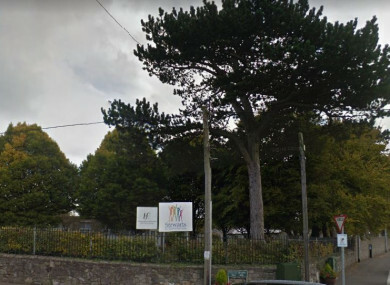 In a statement following the publications of the Hiqa report, a spokesperson for Stewarts said that the board had applied to to Hiqa for the registration of its newly reconfigured Designated Centres in Palmerstown. “Stewarts has always been committed to providing a high standard of care and support to persons with an intellectual disability,” the spokesperson said. Although the scale and complexity of services means that change can be difficult, and slow, the board accepted fully its responsibility to resolve the issues of non-compliance highlighted by Hiqa’s work. The overview report, while flagging the issues originally reported in 2017, notes that in the second half of 2018 a series of unannounced inspections by Hiqa found that improvements noted in earlier 2018 inspections, compared to those from 2017, ‘were being sustained and further improvements were being achieved’. Email “More improvements needed at Stewarts Care, health watchdog finds”. Feedback on “More improvements needed at Stewarts Care, health watchdog finds”.